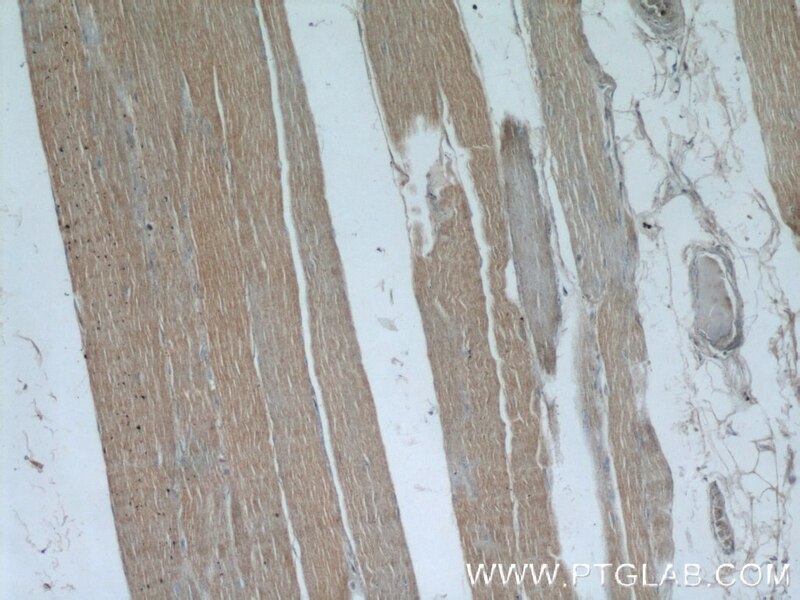 Immunohistochemical analysis of paraffin-embedded human lung cancer tissue slide using 60094-2-Ig( PFN2 Antibody) at dilution of 1:400 (under 10x lens). 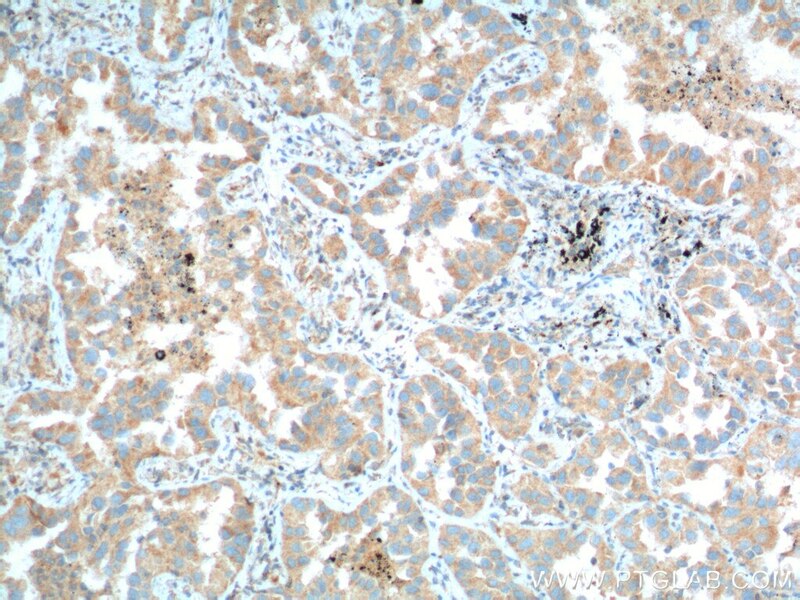 Immunohistochemical analysis of paraffin-embedded human lung cancer tissue slide using 60094-2-Ig( PFN2 Antibody) at dilution of 1:400 (under 40x lens). PFN2 (profilin 2) is a ubiquitous actin monomer-binding protein belonging to the profilin family. It is thought to regulate actin polymerization in response to extracellular signals. 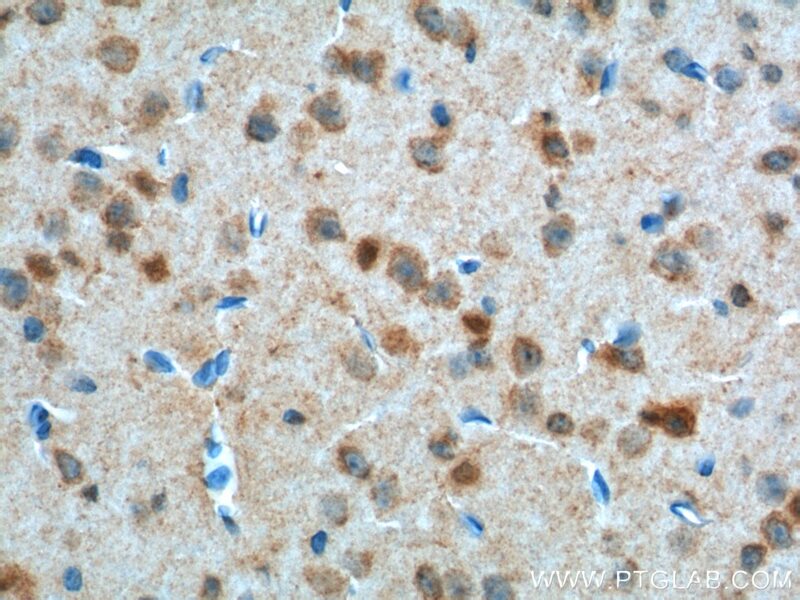 The MW of this protein is 15 kDa, and this antibody specially recognises the 15 kDa protein. PFN2a, a new partner of RARα in the cytoplasm. Loss of profilin 2 contributes to enhanced epithelial-mesenchymal transition and metastasis of colorectal cancer. 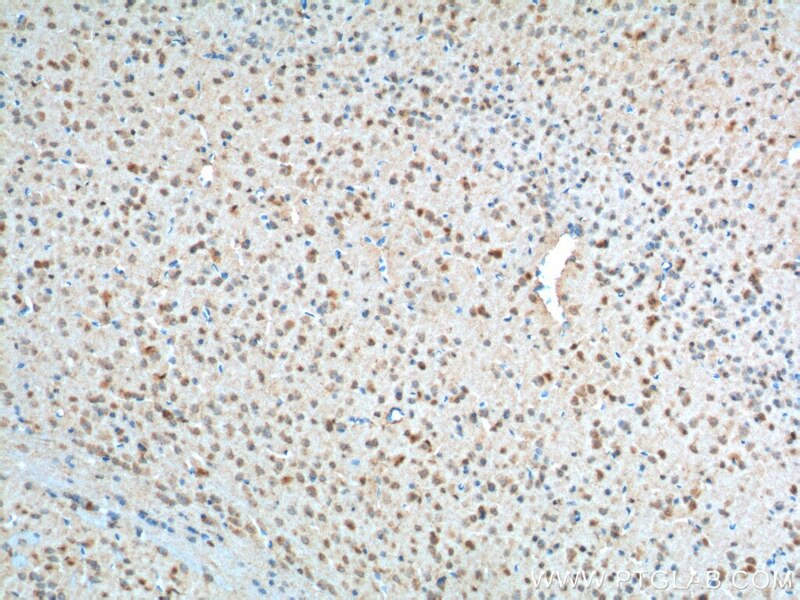 Immunohistochemical analysis of paraffin-embedded mouse brain tissue slide using 60094-2-Ig( PFN2 Antibody) at dilution of 1:200 (under 10x lens). heat mediated antigen retrieved with Tris-EDTA buffer(pH9). 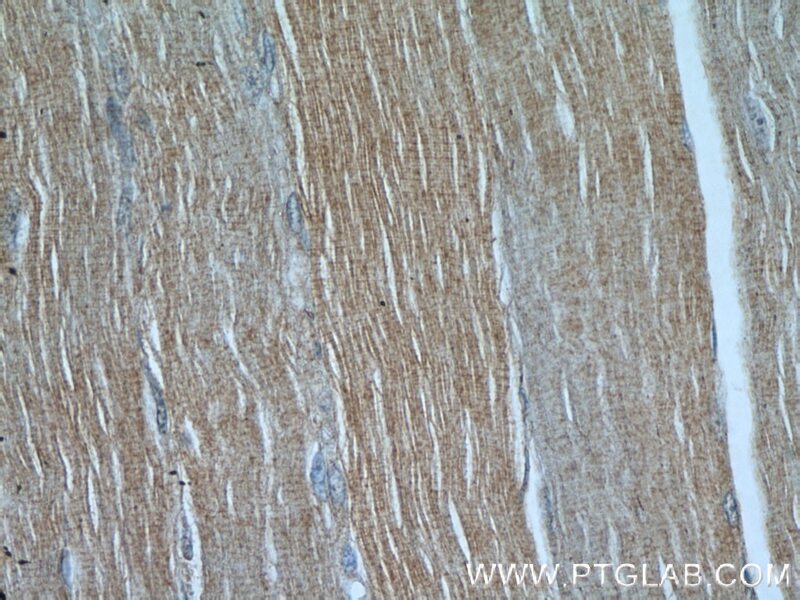 Immunohistochemical analysis of paraffin-embedded mouse brain tissue slide using 60094-2-Ig( PFN2 Antibody) at dilution of 1:200 (under 40x lens). heat mediated antigen retrieved with Tris-EDTA buffer(pH9).